SINGAPORE: A former management consultant who had cheated several charities was sentenced on Friday to 13 months' imprisonment. The court also ordered 51-year-old Stephanie Chee Jok Heng to return the money to the charities. She is appealing against the conviction and sentence. The court had found Chee guilty on February 10 this year of 10 cheating charges. 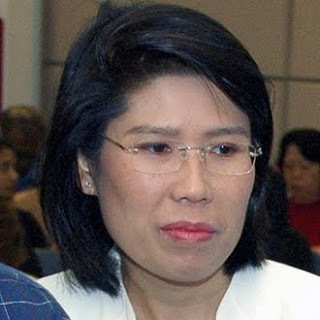 Chee had swindled Parkway Healthcare Foundation and Toa Payoh Senior Citizens' Health Care Centre of S$5,761 between March 2003 and April 2004. She was the General Manager of two facilities managed by the Foundation when she committed her crimes. They are the Toa Payoh Centre and Geylang Senior Citizens' Health Care Centre. District Judge Jasvender Kaur had earlier convicted Chee of making false reimbursement claims. Chee had stated that they were for work done for the charities by other parties, when in fact, they were not. For one, she had fraudulently used S$3,384 to pay for her daughters' piano lessons and tuition fees. Chee also made a double claim amounting to S$2,337 from Toa Payoh Centre for plastic surgery for her younger brother. For each cheating offence, she could have been sentenced to a maximum of seven years' jail and fined.